I’ve been meaning to getting around to writing about Anand Giridharadas’ book, “Winners Take All,” but I wanted to finish Douglas Rushkoff’s, “Team Human,” first. That all changed yesterday. I’m taking a departure from writing about #5G to share my tearful joy about a post shared yesterday on Facebook by one of our network Change Agent colleagues, Harald Schirmer over in Germany at Continental AG, the automotive manufacturer. When we established Change Agents Worldwide, it was our intention to inspire leaders and internal change agents to create the conditions where an environment like the one described in the video above now exists. The healthy criticism (such as Giridharadas’) levied against those who purport to want to change the world, but are not interested in giving up their luxurious lifestyles, nor the practices that led to the soul-sucking rot that is hollowing out our worldwide economies and contributing to societal unrest is fair and necessary. Yet, I am here to tell you, we are also here (uncelebs out here in the wilderness on the internet) embedded in global corporations and advising them. There are many of us who believe there is a better way. It’s taken some time, but change agents are making a difference in their quiet and understated ways. While they’re not throwing around billions and press releases, they are inspiring movements and heartfelt human connection. In the panoply of negativity we’re exposed to daily via the outrage culture of social media and 24-hr news cycles, as Harald mentions, I’m still holding out for the meek to inherit the earth. We can do that quietly and faithfully by trusting each other, and connecting to others who share our values. Last spring, I attended the inaugural Connect X conference in Charlotte, N.C. Connect X is the annual conference held by the Wireless Infrastructure Association (WIA). It was a merger of two conferences: HetNet and WIA’s Wireless Infrastructure Show. The emphasis for Connect X is its exclusive focus on connectivity. 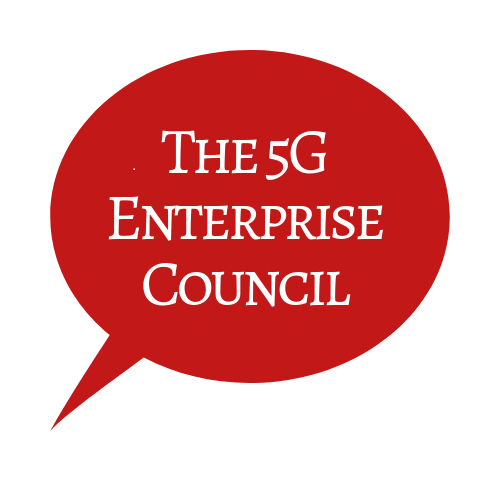 This year, the show is nearly 100% centered on the 5G opportunity. Considering the event is going to be here in Orlando in May 2019, I raised my hand early and asked if I could be involved in some way. There is so much talent and innovation here in Central Florida that I’d like to see have more visibility on the national scene, I couldn’t help myself. I know there’s a lot more too. I’ve heard about the SunTrax out at Florida PolyTech too, and other initiatives underway with teams from the University of Central Florida (UCF) working on National Science Foundation (NSF) proposals on Smart City funding. We’re working on putting together an Orlando Technology Pavilion in the showcase exhibit hall. I’m trying to recruit a few great speakers too, like Chris Castro, who’s become a leading voice for change on all things sustainability and smart city planning. The show is international; it just happens to be in Orlando this year. At the event last year, the FCC Chairman, Ajit Pai, was one of the keynote speakers. It will draw over 3K attendees from every corner of the vital infrastructure community involved in delivering on connectivity solutions. I’ll be writing more about who’s speaking and what to expect in future posts, but I wanted to get this conversation started because I am eager to start filling up that Orlando Tech Pavilion! Ping me on Twitter or leave a comment if you want to know how to get involved. You can follow the conference on Twitter at @ConnectX_USA. Last week I attended a Data Science Summit at the University of Central Florida (UCF). The day merged two of my favorite topics: Smart Cities and Data Science. It was the final event in a series held by the Southern Data Science Conference. The event opened with a partnership announcement by longtime partner Siemens. The technology company committed to over $1 million in in-kind hardware, software, and expertise to build out capabilities to the UCF Smart Infrastructure Data Analytics Lab and will incorporate the existing Siemens’ Digital Grid Lab. Through the Smart Infrastructure Data Analytics Lab, Siemens will leverage data through machine learning, real-time analytics and artificial intelligence to help automate certain processes to be initiated by building systems whenever possible. The UCF students and faculty will have the opportunity to experiment with various aspects of smart building infrastructure with real-world implications. For Siemens, the benefits are abundant in research, application, and ready-made talent pools. UCF is known for its partnerships with industry. The relationship with Siemens goes back three decades, and has been a successful partnership resulting in Orlando’s national reputation as a leader in sustainability. In the fall of 2017, Siemens provided UCF with an in-kind grant of product lifecycle management software with a commercial value of $68 million, one of the the largest grants in university history.